This loop will take you to a half dozen local breweries ! All Proceeds benefit Jessica June Childrens Cancer Foundation, Covenant House Florida, Riverwalk Trust, and The Broward County Gator Club Scholarship Fund. Ride the Trolleys Free All Night ! Please...Do Not Leave Venue Premises with Drinks ! Call 954-574-6000 for more information. The Drink Cards are valid until 11:00pm. Some venues may honor the cards past 11:00pm. The trolleys will operate until midnight. Designated Drivers will be issued a free wristband at check-in. They do not have to pre-register. Check-In is open between 5:30pm and 9:00pm. PrePay is open til noon﻿ the day of the event. Only board trolleys/buses with "Bus Loop" signs ! You Must Be 21 or Older ! Do Not Drink and Drive ! Try Uber, Take a Taxi, Trolley, Designated Driver, or some other Safe Means for Your Return Trip Home.....or Check Out Our Uber Deal ! Follow these Steps and for your first ride ! ﻿﻿2. Enter your information in the Uber app. 3. ﻿﻿ ﻿Request a ride 5 - 15 minutes before you need one. Check-In tables are open from 5:30pm to 9:00pm. If you live within walking distance of the Bus Loop route, don't drive ! 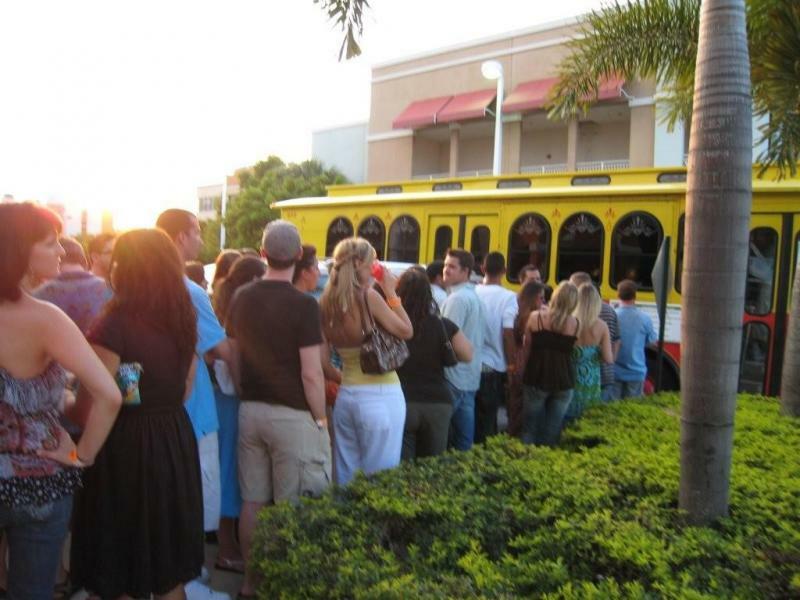 Walk and catch the closest Trolley/Bus on the Bus Loop route and head for the closest Fort Lauderdale Bus Loop Check-In location, and you're on your way ! Otherwise we recommend that you and your friends take a taxi or have a designated driver for your return trip home. For the Bus Loop, be sure to only board trolleys/buses that have " Bus Loop" signs posted on the sides of the trolleys/buses. Also keep in mind that the trolleys/buses run until midnight. If you are interested in volunteering at this event, please email Elisa at estone@covenanthousefl.org . If you volunteer, you will be given free admission. 1. )The Downtown/Beach Route includes the Performing Arts Center , passes through Las Olas Riverfront, down Las Olas Blvd, to A1A , turning around at Vista Mar, and heading back to Performing Art Center. 2. )The 17th Street Causeway Route includes Cordova and 17th Street Causeway and heads east on 17th Street Causeway to the beaches where it will turn around at BeachPlace. 3. )The Hotel Beach Route includes BeachPlace, heads north on A1A, turns west on Sunrise Blvd, and turns around at Galleria Mall. 4.) A 4th Route, The Downtown Route, includes only the downtown area. 5.) Our newest route, the North Beach Route, involves Galleria Mall to A1A and north to Galt Mile Drive area. On occasion, special Bus Loops may involve a new route.